This sounds like an awesome book. I think I’ll recommend it to my book club. One of the members has a daughter studying music in Ireland. Hi Leslie – Thanks so much for checking out this book – it would be a great read for any book club members who have ties to Ireland or just like exploring Irish culture. I hope your friend’s daughter will have a wonderful and informative time studying in Ireland. I hope she gets a chance to immerse herself in the wonders of Irish traditional music. I would love to win this book. I was adopted, and only recently found out my heritage through DNA testing. I’m reading everything I can get my hands on. 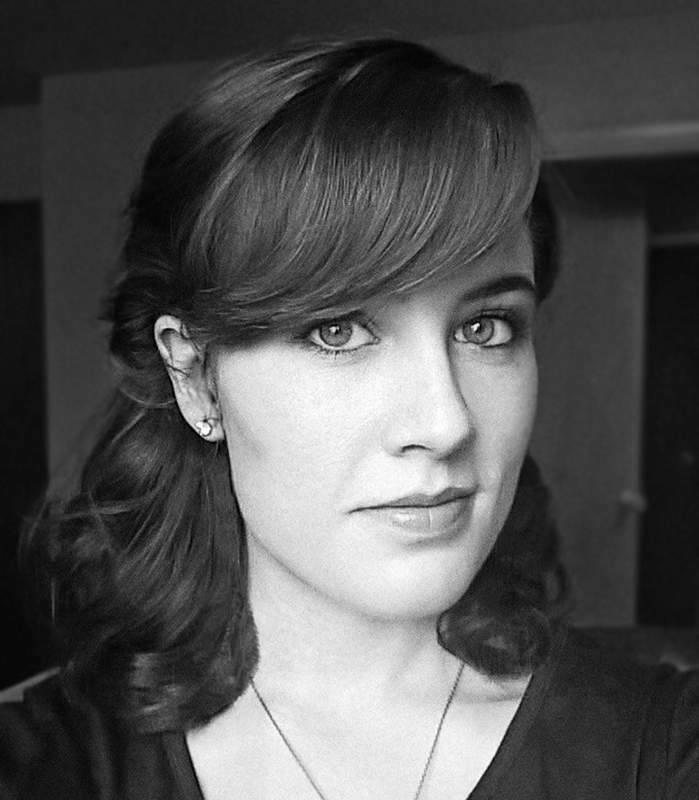 Hi Danielle – It’s wonderful to hear you are exploring your Irish heritage and that DNA testing helped you discover your roots. Wishing you all the best as you explore all things Irish and I think this book would be a great way to explore the city of Galway and the heritage of the west of Ireland. Many Jack Irish novels were also set in Galway. Hi Janet – Galway is such an idyllic city, full of historical haunts and nooks and crannies, all the while hugging the coastline that is Galway Bay. It truly is a perfect setting for a novel, especially a mystery. Hi Charity – A good mystery on a rainy day – just perfect alright, especially when the setting is a rain soaked, but vibrant Irish city. I hope, hope, that I will get to go next year to Ireland! Love reading books set in Ireland. Hi Susan – I too hope that you make it to Ireland in 2020. May all your Irish dreams come true when you make it to the Emerald Isle. Thanks for checking out this new book. After my trip to Ireland last May, to research my ancestral heritage, I ended up in Galway at the end of my trip. It stole my heart to be sure, but alas I had to return home. I have pined for it ever since, and read any and everything related. I can’t wait to read this ! Hi Sue – Galway is a magical city for sure and it does call out to visitors to return over and over again. Not only the city is amazing, but the wild wilderness of western County Galway and Connemara is mesmerizing, even when it rains. I’m happy to learn you had such a lovely time in Ireland, especially in Galway. All the best, and happy reading as you explore this historical part of Ireland. This sounds like an amazing read! Visited Ireland this past summer and spent time in Galway where my grandparents came from. Hi Mary – This book is definitely a great read for anyone interested in Ireland, and even more fascinating for anyone, like you, who has ties to Galway. Glad to hear you had the opportunity to visit Ireland and Galway last year. Have visited Ireland a couple times but didn’t get the chance to spend any time in Galway. Now I am intrigued & will make it a priority on my next visit!! I can’t wait to read the book!! Hi Debbie – I highly recommend a stop in Galway on your next trip to Ireland. It’s a warm, welcoming city that’s brimming over with history, plus it’s the gateway to Connemara, where the scenery is wild and untamed, yet breathtakingly beautiful. I have had the pleasure of visiting Ireland twice. I also felt like I had returned home from the moment I stepped off the plane. There is and think always will be a tie and longing in my heart to return. The book sounds amazing and a must read for me. Thank you for sharing with us all. Hi Sharon – So many Irish Americans feel as if Ireland is calling out to them to return. It’s lovely to know that even after two trips to Ireland you still feel a longing to return there. Thanks for checking out this new book. This sounds like a great read! My Father’s family all come from Galway (Clifden). My Mother’s people from Clare and Cork. I’ve been to Ireland four times in my life and hope to go at least once more in my lifetime! Thank you for letting us know about this novel. 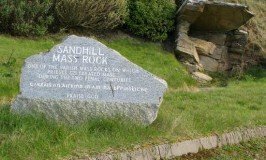 Hi Maureen – The Sky Road is a magnificent drive near Clifden. I hope you get to see it again someday soon when you take that next trip to Ireland. Thanks for stopping by. My Irish ancestors were from the Waterford area. I know very little of their life in Ireland. When I went to Ireland I felt very much like I had arrived home. 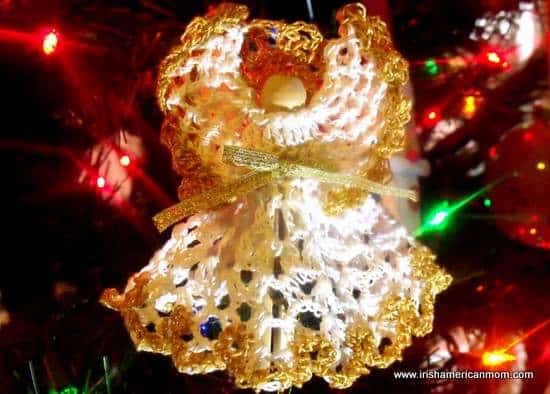 Hi Jane – When I was a baby we lived in County Waterford. It’s a beautiful county, but I only have sketchy memories of my time there. We moved back to Dublin when I was only three years old. It’s lovely to learn that you feel so at home in Ireland. While I have visited a number of other countries, nowhere have I been made to feel as at home as I was in Ireland. My Irish grandfather was from the West of Ireland (Sligo) and my Irish grandmother from Waterford. We will be going back to Ireland again next year and hope to continue our explorations with the same joy as we did on the last trip. Oh Maureen – it’s wonderful to hear you truly felt at home and welcome in Ireland, the land of your ancestors. 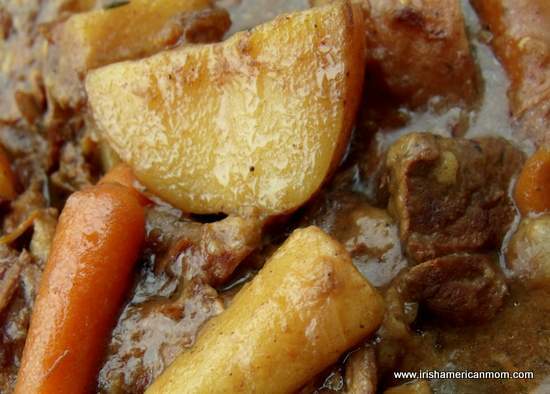 I think your Irish heritage deepens that feeling of coming home when you are in Ireland. I truly believe there is an energy in Ireland which we instinctively appreciate. Many thanks for stopping by and letting us know about your Irish connections and your wonderful trips to my homeland. Loved Galway when I visited my niece who also studied there 10 years ago. Hoping to do a music tour in Galway and Donegal next spring. 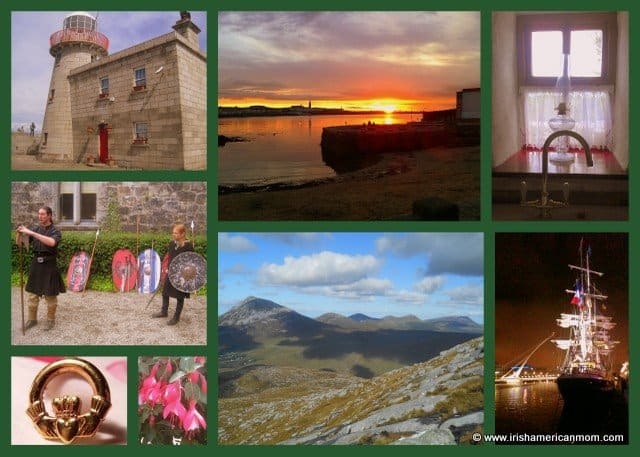 Hi Ellen – A music tour of Galway and Donegal sounds wonderful. Happy planning for your trip. I can’t wait to get a copy of this book! It sounds as intriguing as Ireland herself. Hi Patricia – Ireland truly is an intriguing place that seems to call out to so many of us. 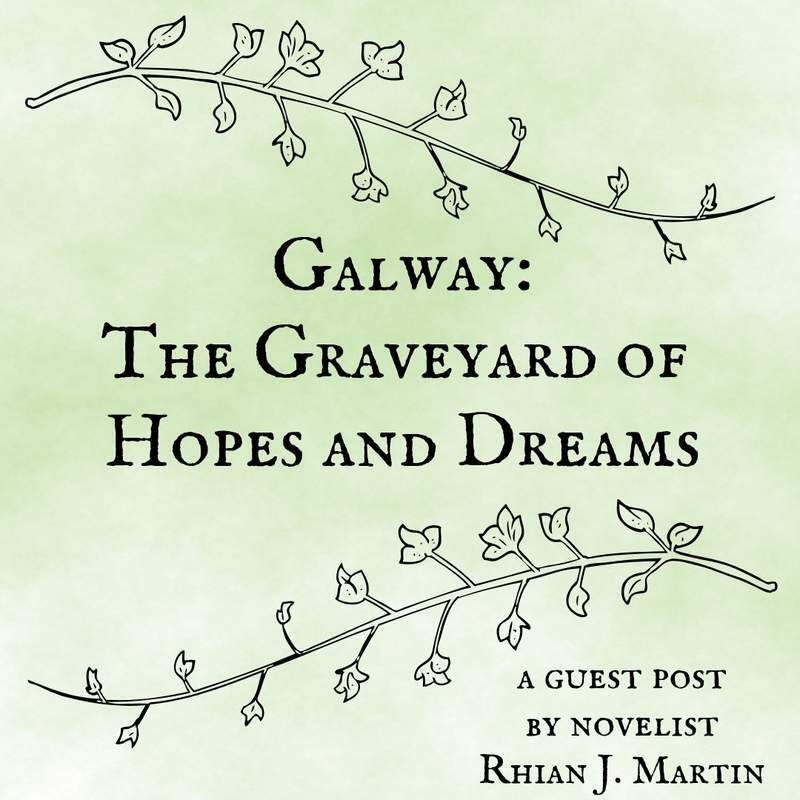 Thanks for checking out Rhian’s story about Galway. The book sounds wonderful. I can’t wait to read it. Hi Mary – It’s always a pleasure to introduce new books about Ireland here on my blog. Thanks so much for supporting our little giveaway. I”ve been to Galway 3 times and loved it more each time I went. I will surely return! Hi Evelyn – It’s lovely to hear from so many people who love Galway. Thanks so much for stopping by. 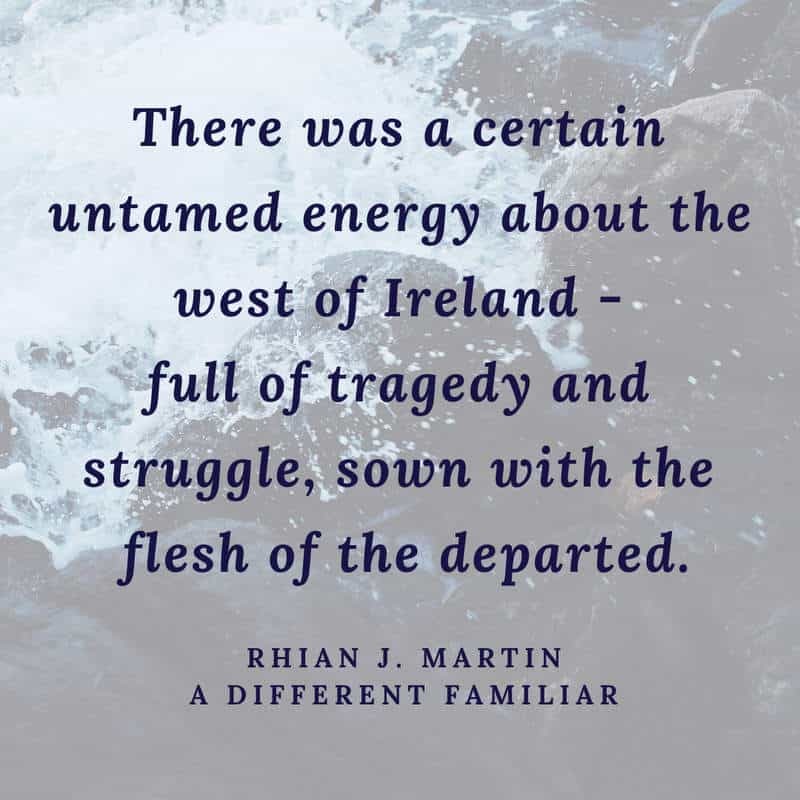 Rhiann’s experience in Galway and not wanting to leave is a perfect background for me to want to read her intriguing novel! 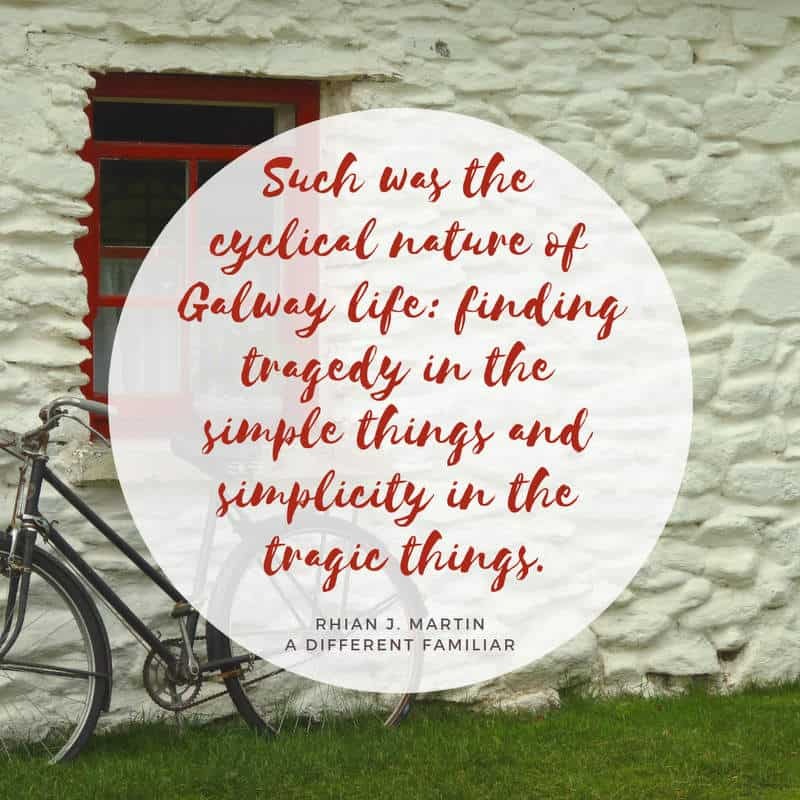 Hi Suzanne – I love this guest post and how Rhian explains her connection to Galway and how she left a little piece of her soul there when she left Ireland. I am quite certain she will return over and over again in the decades to come. 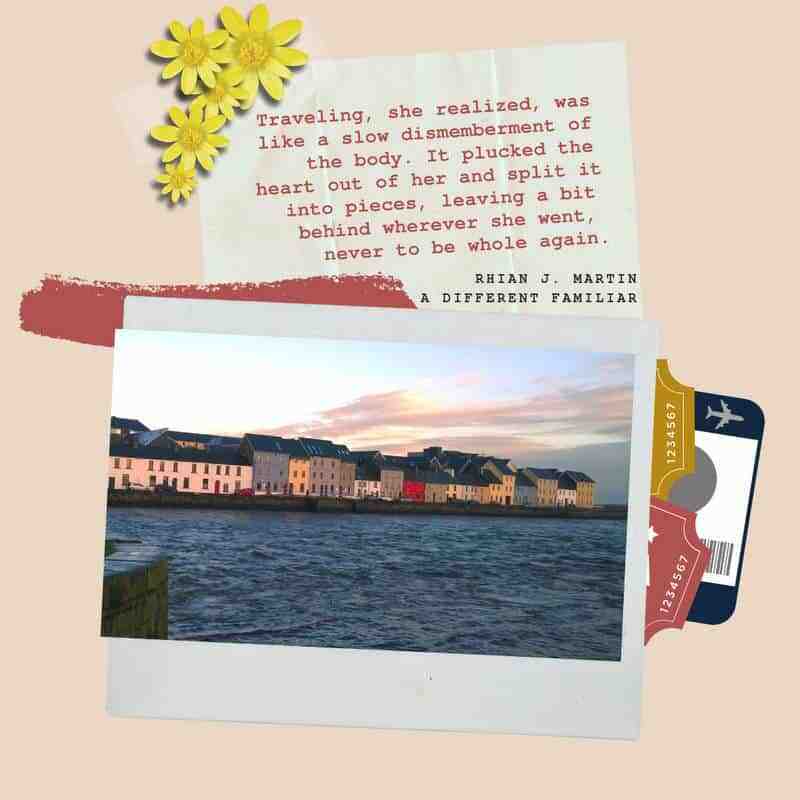 Someday I will have to go to Galway and see some of the things that Ms. Martin wrote about. I hope that she can write many more books about Ireland. Hi Jeff – I hope you do get to see Galway someday and get to visit the parts of Ireland from where your ancestors originated. Many thanks for checking out this book. I agree wholeheartedly. Writing a book is one thing, but editing and publishing it is a whole new level of dedication. Many thanks for stopping by. I’ve been to Galway, it wish I had spent more time there- I think I felt that there was more to the city than I experienced. Would love to read this book! Hi Deborah – I think you could visit Galway one hundred times and still discover something new. It is full of nooks and crannies, interesting stories, legends and myths. The Claddagh is one of my favorite spots and I love the history of this little independent village. All the best, and I do hope you make it back to Galways someday. Love all things Irish, including books set in Ireland. We were in Galway last year at this time – Beautiful! Would love to go back. Hi Peggy – It’s lovely to learn that so many readers have visited Galway, and it seems everyone fell in love with the City of the Tribes. I hope you do go back to Galway someday. I feel the book is already calling me to read it! I think I’ll just go ahead and order it, and if I happen to win this give away – I will do just that, give it away to a friend whom loves Ireland too! Hi Sinita – Your give away strategy sounds like a perfect plan. Thanks for checking out this guest post by Rhian. This sounds like an amazing book! I hope I get picked to win it!!! Hi Marge – Thanks for stopping by to support this little giveaway. Sounds like a really interesting book I’d like to read. 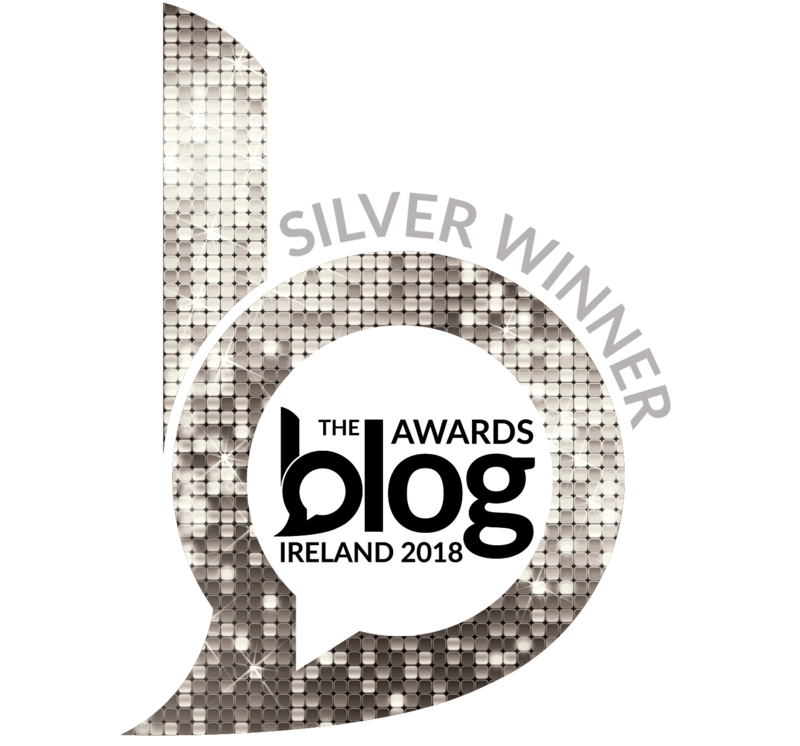 Hi Chris – I’m delighted this blog post introduced you to a new book set in Ireland, that might be an interesting read for you. Thanks for entering this giveaway, Dianna. I love your story about your experience with Galway! I spent a few weeks there a couple years ago and I completely understand the home-sickness for the city. I found an unexpected home I will be returning in a few weeks and my heart sings with happiness. I cannot wait to read your book and would love to win a copy, but will gladly buy it as well. My best to you in all your future endeavors! Hi Lynette – Have a wonderful time in Galway, your unexpected home. May you experience the joy of this charming city and fill your soul with memories that will sustain you when you must leave again. From the sound of it, Galway IS the ambition. And it sounds utterly worthy – winner or not, I look forward to reading the novel, and letting myself fall bewitched. Well said, Emily. Galway IS the ambition. I like that. Galway and western Ireland are my favorite places. The book sounds very interesting. Hi Mary – The west of Ireland truly is spectacular. It has to be seen to be believed. Hi Marion – Thanks for stopping by to check out this book giveaway. Thank You Mairead for the chance to win this book. And thank you Marilyn for faithfully following my recipes, ramblings and book reviews. I really appreciate your support. Hi Joan – I too love a good book about Ireland, set in Ireland or with well developed Irish or Irish American characters. I would love for you to read my new book “Brave Hearts-The Grit and Dreams of an Irish Immigrant Family” Information is on my website below. Many thanks for sharing your book, Jean. I soak up almost anything on Ireland. Love to read about the country that my grandparents came from. 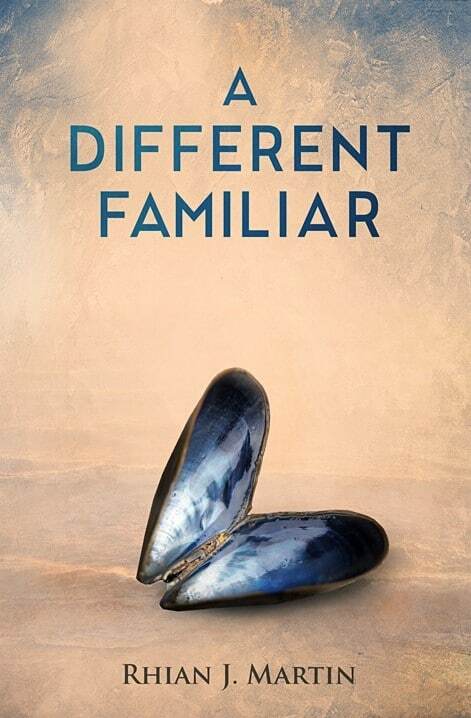 My dad was a great story teller and will be looking forward to reading A Different Familiar. Sounds great! Hi Sheila – Storytelling is a fine art that has been perfected by many Irish people like your dad. It’s lovely to learn of your great interest in all things Irish. I would love to chat with the author. My Mam was born and raised in Galway in the 1930-40’s. I can so relate to this. I’m so glad to know someone understands this issue. I’d love to write about my many childhood memories of being a child in hard times in Galway! Good for ye so proud ye understanding! Hi Cat – It sounds like you truly understand the Rhian’s sentiments and connections to Galway. We would love to hear more of your childhood memories in Galway. Thanks so much for stopping by. This book sounds so intriguing to me. We stayed in Galway for a couple days but I never had the chance to really immerse myself into it. Hopefully this book will help with that. Hi Beth – I’m delighted this guest post introduced you to this new book set in Galway. I hope you get to return to this lovely city again someday. I made my second trip to Ireland this past October; this time we stayed in Galway County. 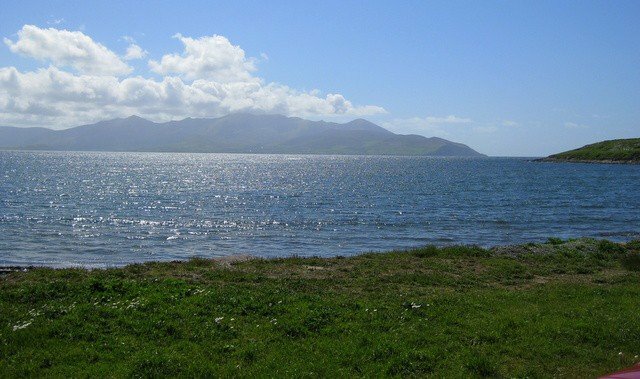 I loved the wild beauty of the western regions, from the perilous heights along the Wild Atlantic Way, to the magnificent views of the Twelve Bens in Connemara. We roamed as far north as Achill Island, and out to Inis Mor, one of the Aran Islands. As with my previous trip, upon arriving home, I felt that soul-yearning to return to Ireland. The country does steal your heart, and I believe that there is some genetic memory that makes it feel very familiar and comforting. I’ve been reading some of the old books by the Great Blasket Island authors (we visited the island on our previous trip), also Mary Lavin, Colm Toibin, John Banville, Sebastian Barry, Tana French; can’t wait to read A Different Familiar! Hi Trish – I love the collection of Irish authors you listed. What a great reading list and way to immerse yourself in all things Irish. I agree with you about the rugged beauty and untamed magnificence of the west of Ireland. It sounds like you explored some places off the more beaten Irish tourist trail on your trip last October. I am not surprised to learn that you felt a sense of home sickness for Ireland when you returned home. Genetic memory is a good theory for why this might happen to many Irish Americans who visit the land of their ancestors. Hello- This sounds like a great read! Thank you for sharing these great books with us. Happy spring to you! I have visited Ireland twice in the past 10 years and will be going back this fall. The west is an indescribable place; hauntingly beautiful, full of history going back thousands of years, wonderful people. It IS a place that has stuck in my heart, and when I have had to leave to come back home, a piece of my heart stays behind. 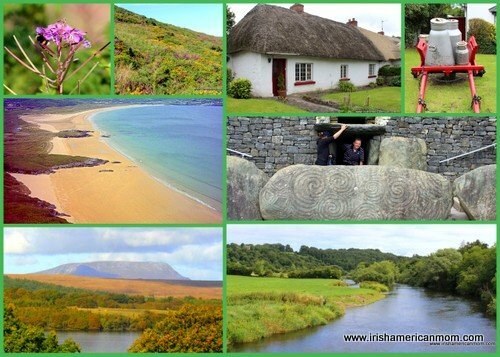 Hi Christel – I think Ireland steals a little piece of most tourists’ hearts and that perhaps is why so many Irish Americans return many, many times. Lovely to hear you will be returning this fall. Have a safe and memorable trip. My sister and I spent 2 days in Galway last year – not nearly enough time to get to know it, but long enough to be completely enchanted. Hi Erin – So many readers’ comments speak of how enchanting Galway is and it’s lovely to hear you confirm this. I hope you make it back to Ireland someday.